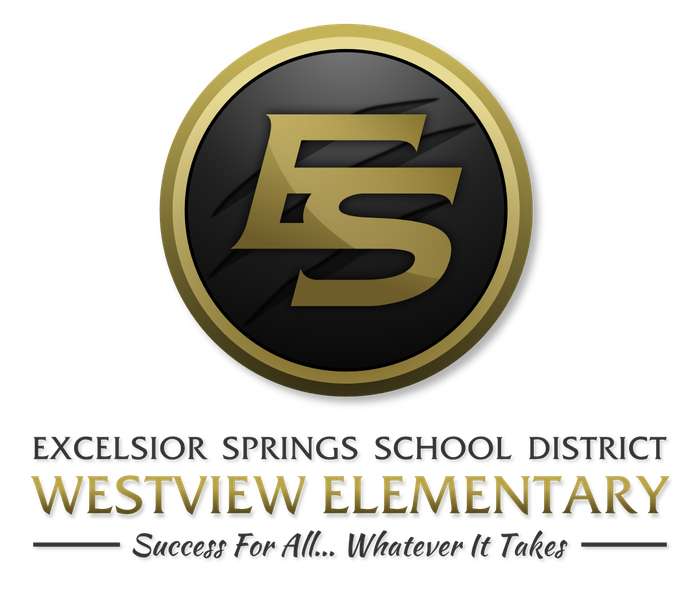 Westview is using Smore newsletters to spread the word online. Success for all, whatever it takes! Thanksgiving is a great time to reflect on all of our blessings and show gratitude to all of those around us whom have influenced our lives. 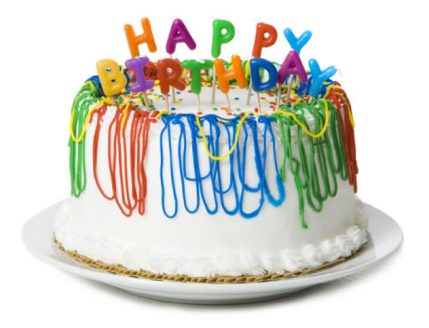 I thank each of you for the influences and joy that you bring to my life. I hope that you enjoyed your well-deserved break from work and took time to spend it with family/friends. From all the pictures I saw on Facebook, it appears as though you took advantage of this time! The Harmon's were able to enjoy a delicious Thanksgiving meal, watch more football than one could imagine, and partake in some Black Friday shopping all while potting training Colby. Let's just say this was not the most relaxing Thanksgiving ever! However, we made lots of memories, and they by far outweigh the frustrations of being a parent to a toddler. As we move forward through the remainder of the upcoming holidays, this time of year can also bring upon stress and unease for ourselves, our students, and their families. As you go through this week, be mindful of your interactions, and I challenge you to share a point of gratitude with each person you encounter. Wishing you many blessings this week! I know you are all eagerly anticipating the upcoming Christmas break, and Rita and I wanted to give you an early present! Please enjoy a week's worth of jeans and holiday attire during the last week before break. 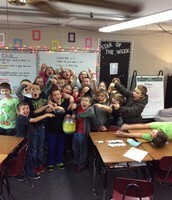 Miss Heller's class collected another tub of pop tabs! 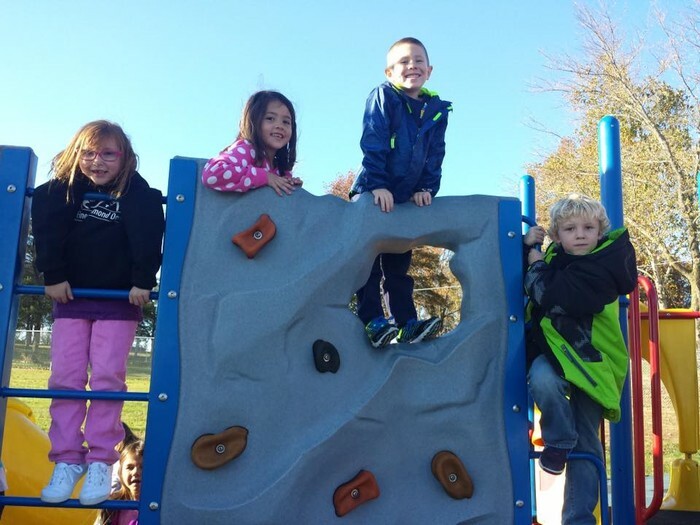 Rock Wall Fun at Recess! 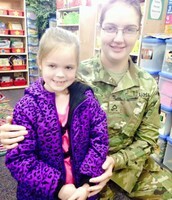 Laura Cherrito from MCPL reading to Mrs. Lohman's class. 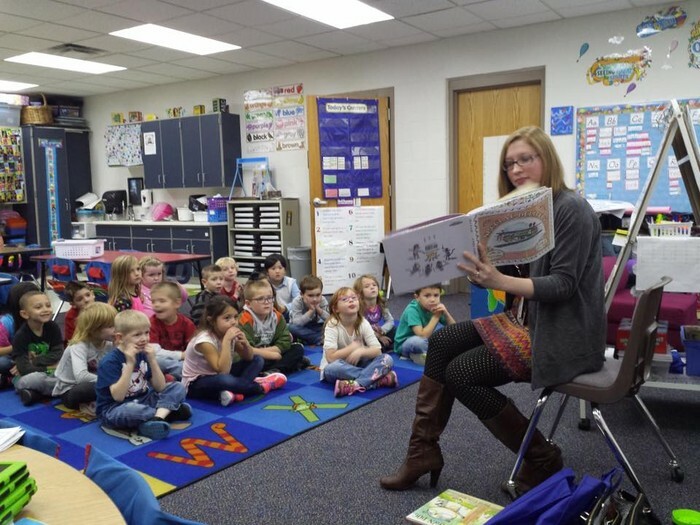 Developmental Reading Assessment - Students in kindergarten and 1st grade will be taking the DRA this week and next. 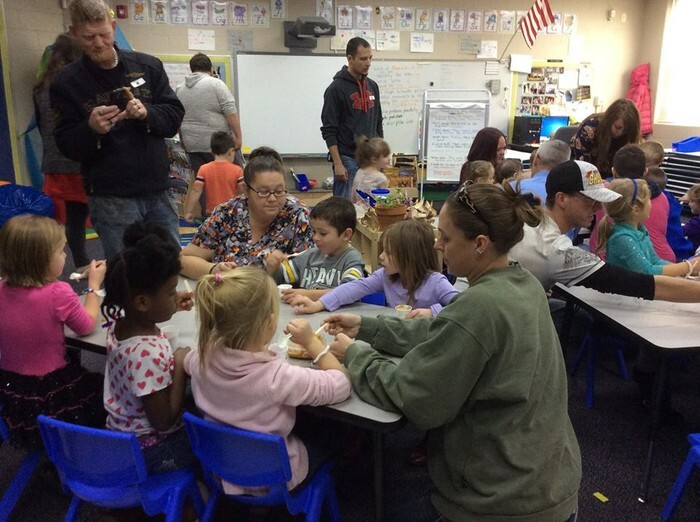 Grade levels have created schedules to meet their individual needs. 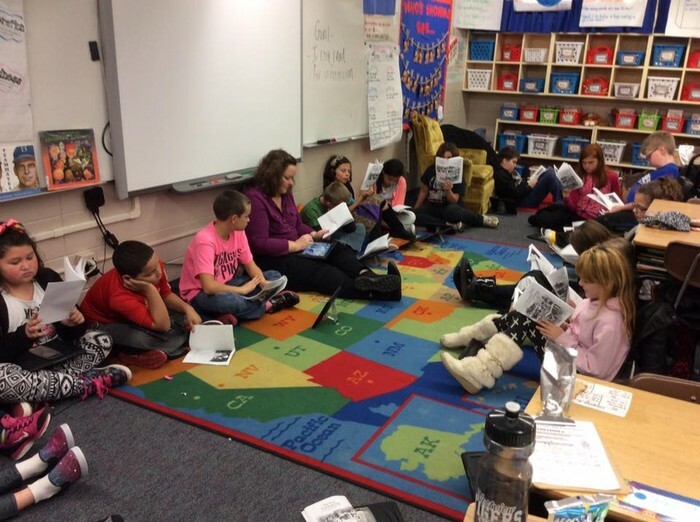 Scholastic Reading Inventory - Students in grades 2-5 will take the SRI over the course of the next two weeks. Please plan to utilize the upstairs lab, library sets of iPads, or student iPads to complete the assessment. Acuity Form B (ELA & Math) - Students in grades 3-5 will be taking the Acuity assessments this week utilizing student iPads and the upstairs lab. 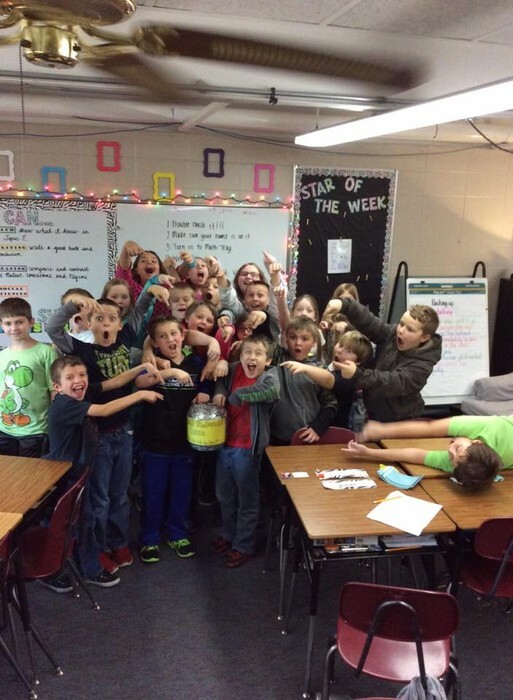 Each grade level created their own scheduled based on their individual needs. Due to last week's short week, combined with the variety of assessments being administered this week, please utilize this week's team meeting time as your grade level sees fit. This time can be utilized to work on the Unit of Instruction, score and enter assessments, etc. Please email me and Rita your grade level's plan by Tuesday at 4:00. We will meet in the gym at 3:00 for approximately 10 minutes to share celebrations and determine each grade level/department's needs on the UOI before returning to classrooms to work. The remaining time will be utilized to collaborate with your grade level on the UOI to plan lessons and complete each of the elements as time allows. Rita, Jessica, and I will be available to your grade levels during this time. 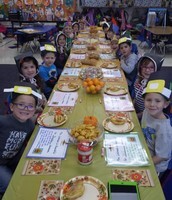 Kindergarten Pilgrims enjoying a Thanksgiving Feast in Mrs. Lohman's class. 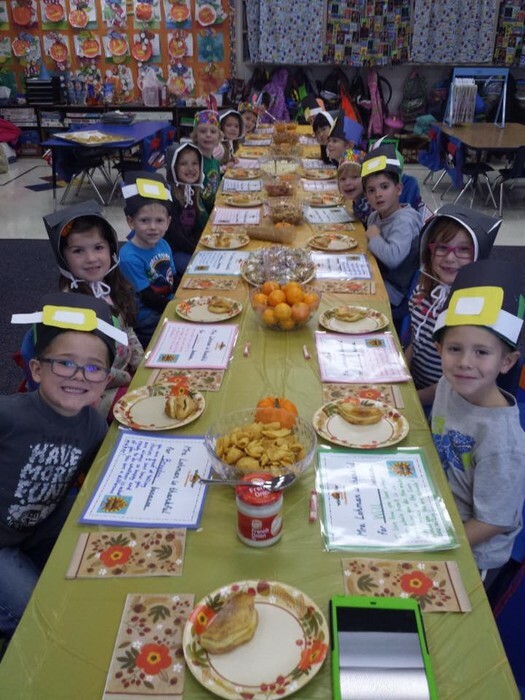 Reading about the 1st Thanksgiving in Ms. Smith's class. 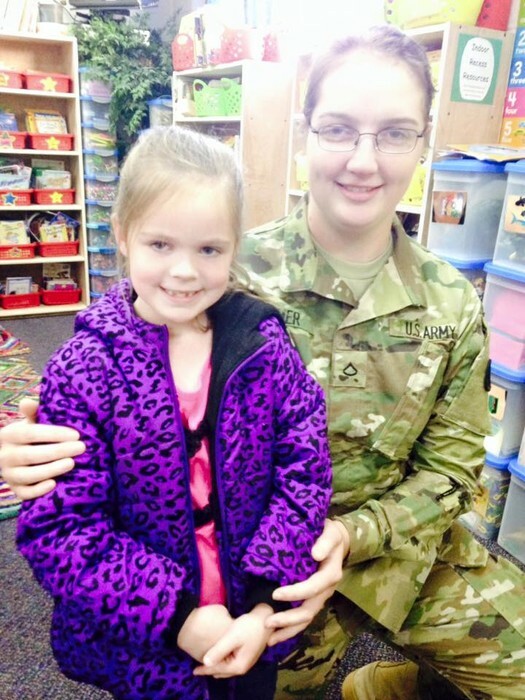 PFC Tessa Kramer surprised Desirai by visiting her class last week! 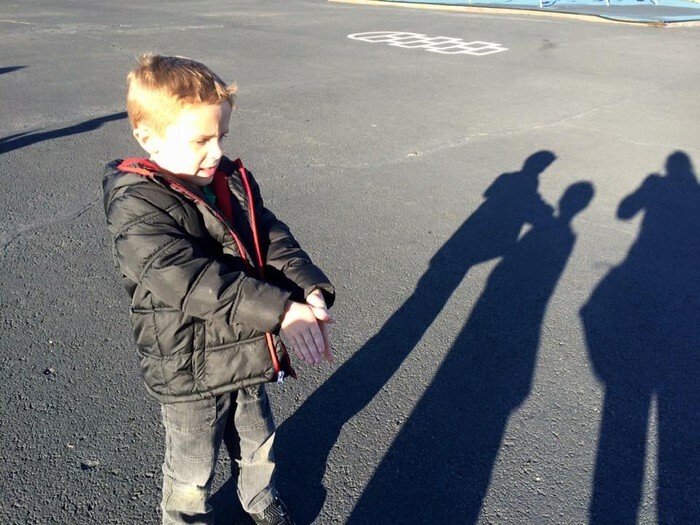 Learning about light and shadows in Mrs. Beckstead's class. 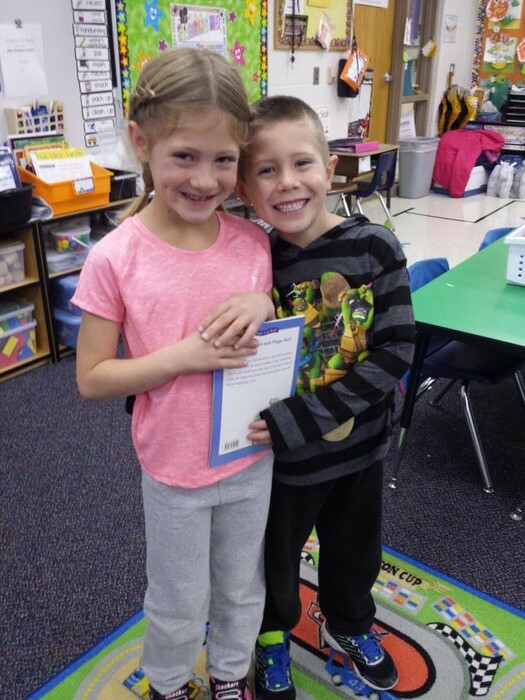 Callie reading to her little brother's class!